Obbi Good Label products are renowned for their quality and craftsmanship, but also noticeable is the ‘design thinking’ that goes into all their products, something you can only appreciate from owning and using them. What might seem like nothing at first glance, makes a big difference when in use. Obbi Good Label products include wallets, from trim-fold to classic, minimalist card holders to slimline money clips (something for whatever your taste) as well as leather bags, belts, watch straps and travel accessories to name just a few. The Brave Buttero Mid Wallet is an OGL original, signature shaped design. It has a unique tapered cut towards the opening of the wallet, which allows the wallet to sit comfortably in the back pocket. A small modification to the product that makes a large difference for the user. Combined with the premium full grain Italian vegetable-tanned leather, they are supple and firm when new and will soften after ageing, producing a highly characteristic patina. Obbi Good Label watch straps are sourced and made from genuine 1970s to 1990s army helmets. Recycling the 100% cotton canvas chinstraps and original hardware from the helmets has allowed OGL to develop three different styles of straps for you to choose from. So every OGL Military Watch Strap is vintage, authentic, unique and one of a kind. You won’t bump into someone with the same watch strap as you! 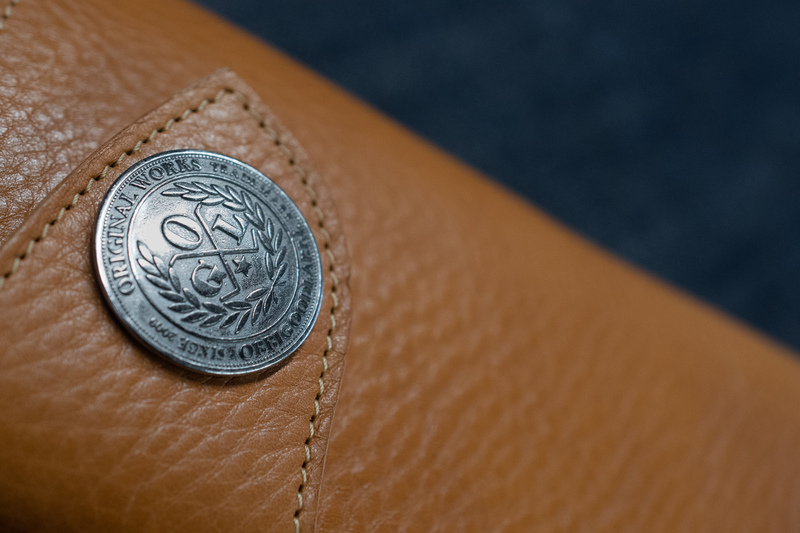 Not just any leather will do for an OGL belt, leather is sourced from a South American tannery, where the leather is aniline-dyed, burnished and smoothed by hand, that will fade naturally revealing the core colour. The belts are soft to touch yet still retain strength and durabilty. A solid brass buckle completes the belts overall look, a classic example of the work that goes into making ‘just a belt’!